File activation failure. 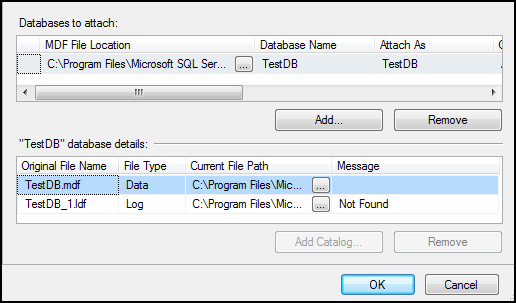 The physical file name "C:\Program Files\Microsoft SQL Server\MSSQL11.DENALI\MSSQL\DATA\TestDB_1.ldf" may be incorrect. New log file 'C:\123\TestDB_log.ldf' was created. for that u have to.. remove second ‘not found’ .ldf file. and try attaching.